One of Arbus’s last series of photographs was of the institutionalized mentally retarded, whom she found “the strangest combination of grownup and child” she’d ever seen. One of photographer Diane Arbus’s first pictures, she says, was of a dog. She was living at the time on Martha’s Vineyard. A big mutt with Weimaraner eyes-gray eyes- arrived every day at twilight, as if to signal the oncoming night. “It was very haunting,” Arbus said. “He would come and just stare at me in what seemed a very mythic way.” He did not bark, scratch, fetch, lick. His intent was not to play or get petted. He had little doggishness. All he did was witness. All he did, Arbus said, was look right through her. He wasn’t, this is, the least bit interested in seeing what was really there. She did not think he liked her. She took a picture of him, but it wasn’t very good. Or so she said. One of Arbus’s last series of photographs was of the institutionalized mentally retarded, whom she found “the strangest combination of grownup and child” she’d ever seen. These pictures were later assembled posthumously for the book Untitled. The light is again crepuscular. In many shots it is Halloween, so her subjects wear masks and costumes that look for the most part handmade, primitive, and thus even more eerie. They stand in pairs or threes, in groups headed for some unearthly rite, some darker oblivion. At first Arbus adored these subjects. She went back to photograph them over and over. “FINALLY what I’ve been searching for,” she exclaimed. The she reversed her position. The pictures were no good. Her art was not doing it for her anymore, she said to a friend. Why the reversal? What weren’t the photographs doing? Shortly after this about-face, Arbus was dead. She was found on the evening of July 28, 1971, by her friend, mentor, and lover, Marvin Israel, who had been unable to reach her by phone. Arbus left little chance, it seems. She wanted to die. Or did she? There had been no known prior attempt of any kind – no acts of self-harm, no grim practice runs, no suicide “rehearsal,” as one often finds in such cases. By hurting herself so severely, had she really aimed to punish? But if so, whom? On the July 26 page of her appointment book she had written, ambiguously, “Last Supper.” Perhaps, like Christ, she imagined a resurrection. 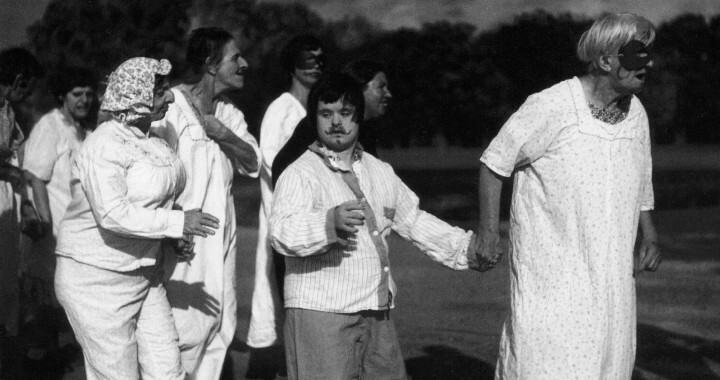 After years of seeing what no one else could or would dare too, Arbus suddenly found herself in the awkward and probably enormously disorienting position of interrogating a kind of absence: the un-self-conscious mentally retarded. All Arbus’s other subjects had seen her into being. They gave her something back. They reacted to her presence. The camera made them pliable. She defined them and they returned the favor. 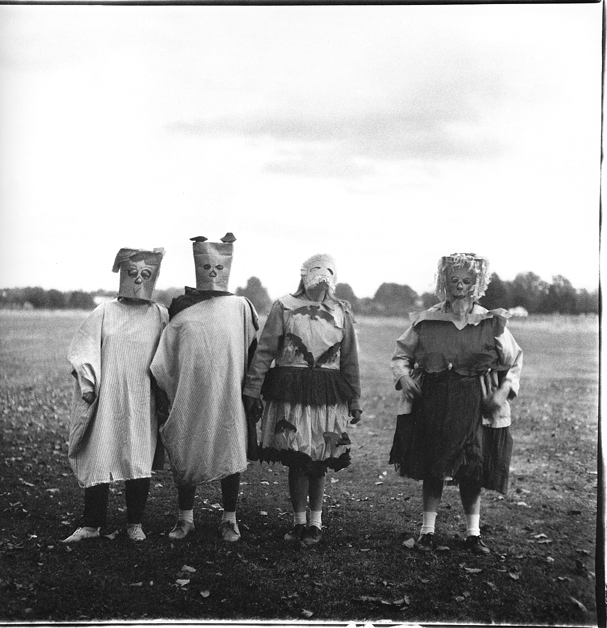 They were self-conscious, and they had the effect of increasing Arbus’s consciousness of her own self. The mentally retarded took far less interest. They did not meet her gaze. They exchanged no secrets. There were no intimacies. They gave off no reflection. Arbus was left alone with her single self, and it was not enough to sustain her. Her art, as she said, was not doing it for her anymore, and in crucial respects she was her art. Posted in Essays, Featured, Highlights and tagged Diane Arbus, Essay D, Popular Diane Arbus, Portrait, The New York School, William Todd Schultz.